The firm represents clients ranging from individual inventors to major corporations on most types of intellectual property and unfair competition issues. We advise on the full range of business issues surrounding patents, including ownership issues, licensing, protection, non-infringement, patent application prosecution and litigation. We help clients license and protect their copyrights in valuable works of expression. The firm assists individuals and corporations in protecting trade secrets relevant to their businesses, technologies, and production processes. 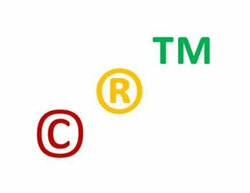 Additionally, we assist our clients through the process of obtaining, maintaining and protecting their trademarks. The firm has provided these services in a broad range of technical areas, including electromechanical devices, materials, medical devices, software/business methods, telecommunications, and cosmetics and hygiene. Working with Outside Counsel: We welcome the opportunity to work with general practice attorneys when intellectual property matters arise, or to assist as local counsel in the state of California for firms/attorneys from other states. The firm also works with in-house corporate counsel and outside patent counsel when conflicts of interest arise.